It’s here! The final poster for J.J. Abram’s trip to a galaxy far, far away has hit the internet by storm! 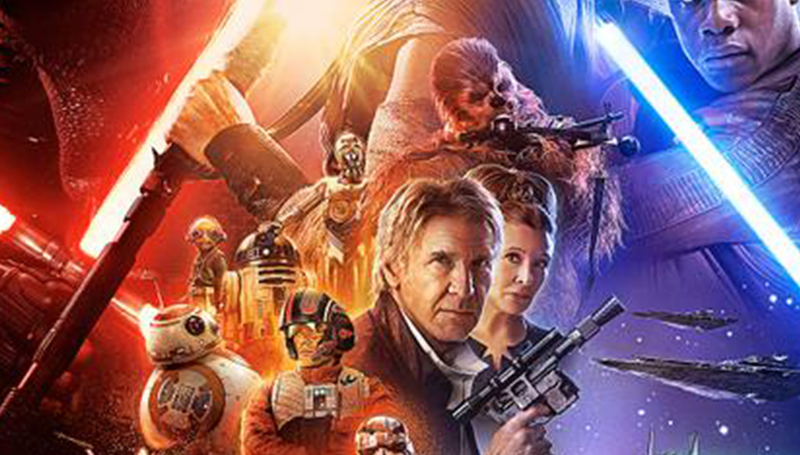 The Star Wars: The Force Awakens poster even includes the 1st image of some fan favorites from the classic trilogy! Waste no time and take a gander. Then we’ll talk about what you see! First off, who’s missing? Luke Skywalker (Mark Hamill) of course! Luke is now the classic character most shrouded in mystery as the poster does offer our first look at Carrie Fisher as Leia (Solo?)! Why won’t they show us anymore than Luke’s metal “Winter Soldier” arm? 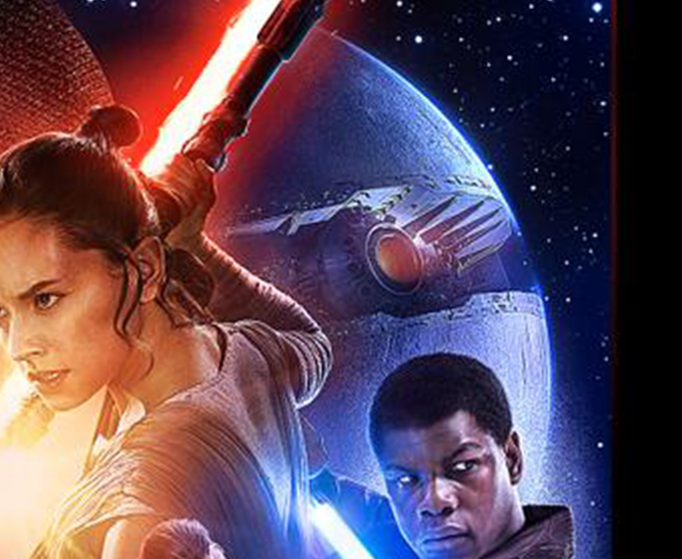 Front and center are the three new, younger cast members that will likely drive the movie forward (a character’s size on a poster can be very telling of their importance…), Daisy Ridley as Rey, John Boyega as the lightsaber weilding/possible Stormtrooper Finn, and the Darth Vader inspired Kylo Ren played by Adam Driver. Below that, the whole gang’s here from classic droids C-3PO & R2-D2 to the brand new rolly polly B-88. Han Solo (Harrison Ford), Leia, and Chewbacca share a small space next to the droids, as does Oscar Isaac’s hot-shot X-Wing Pilot Poe Dameron. There’s even a new, mysterious alien hanging with the old crew; an alien whose importance was never hinted at in any of the promotional material… including the toys! You’ve got your baddies on the very bottom; a legion of Stormtroopers led by Captain Phasma (Gwendoline Christie). No sign of Domhnall Gleeson who we’ve already seen as General Hux in promotional images, and Andy Serkis’ CGI “New Order” (formally “The Empire”) Supreme Leader Snoke remains just as mysterious as Luke Skywalker’s face. It needs to be mention, though the poster does recall Star Wars posters past, it is not drawn by the incomparable Drew Struzan. With a trailer dropping tomorrow on ESPN during Monday Night Football, things are about to get really Star Warsy up in here! 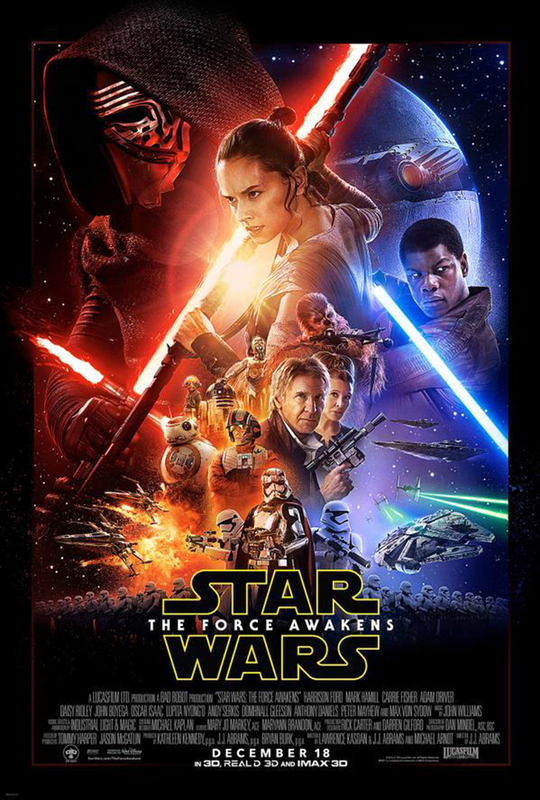 Star Wars: The Force Awakens hits US screens on December 18th! 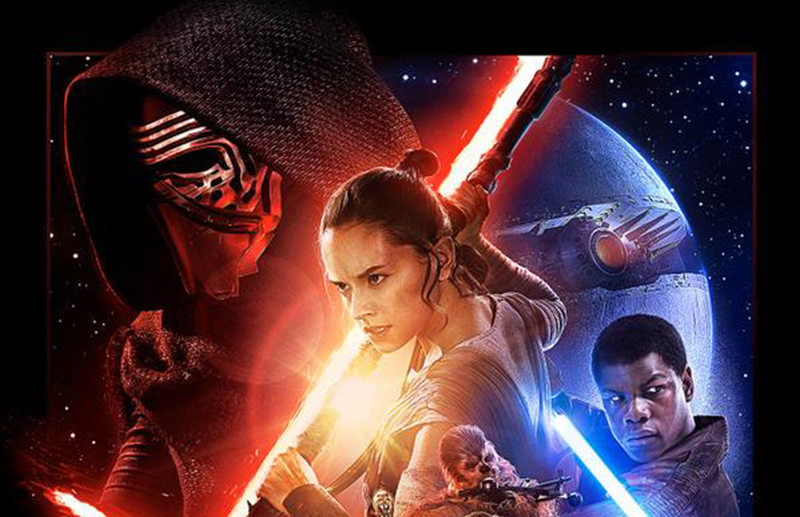 Next The Final Trailer #3 For STAR WARS: THE FORCE AWAKENS Is Here!! !